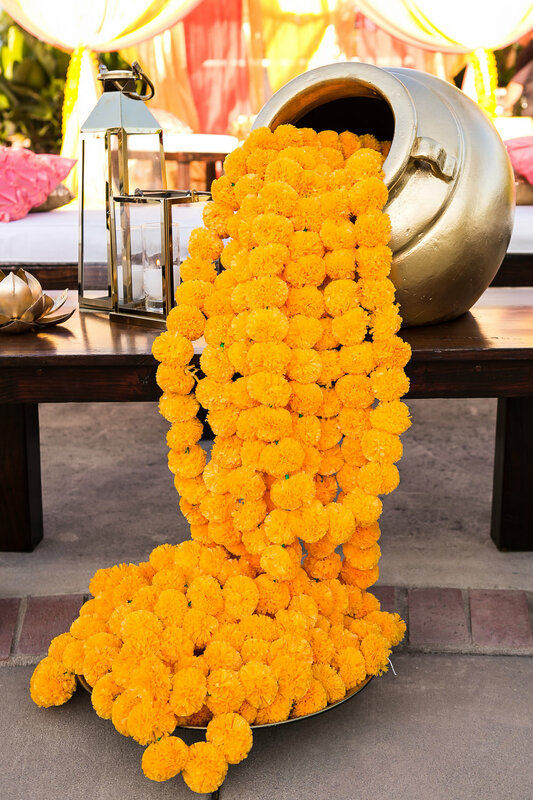 For Natasha’s Sangeet We started with a traditional golden pot of flowing marigolds. 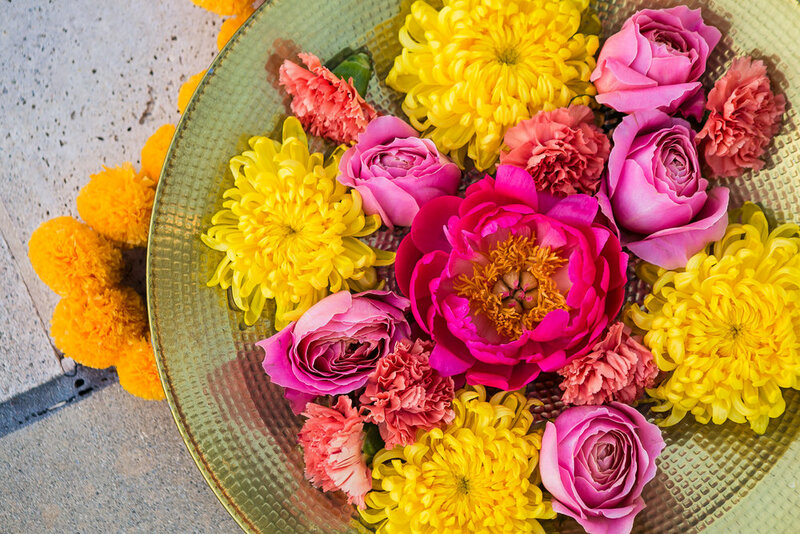 From there we used a variety of playful vibrant, yellow, gold and pink flowers to emulate the colors of spring. Shade is always important when planning a wedding. Ensuring shaded areas are crucial during the spring in places like Los Angeles. 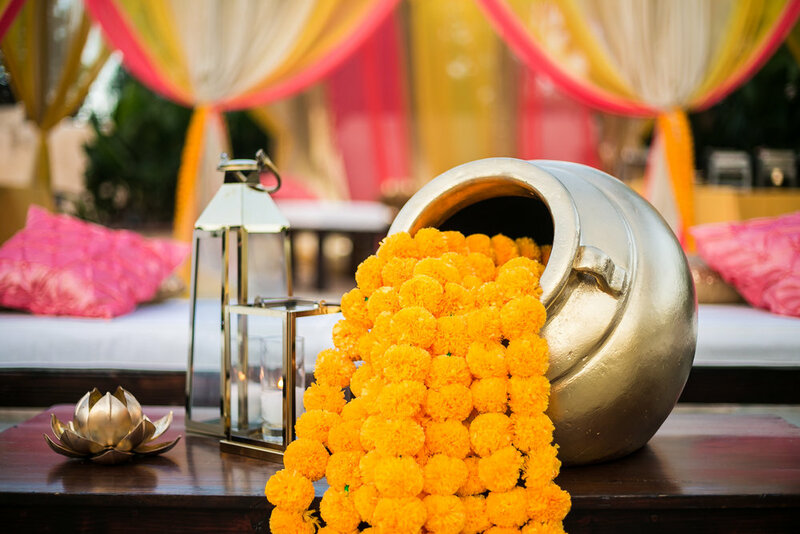 For this Sangeet, we used bright linens, to create a shaded seating area. 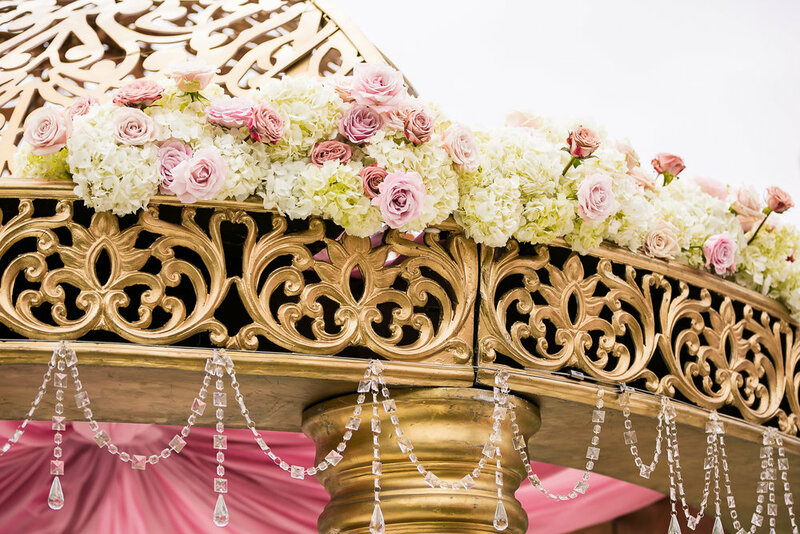 We added a mix of gold and white seating accompanied by a variety of brass decorations. 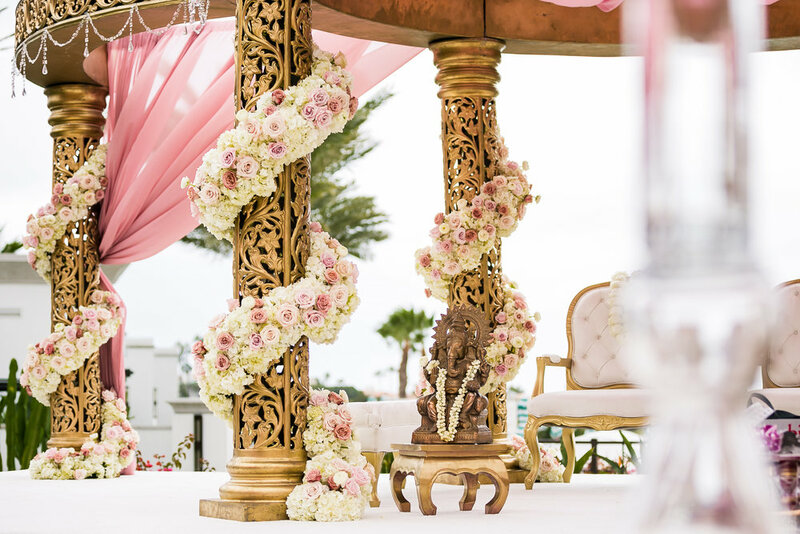 The mandap was a delicate design. 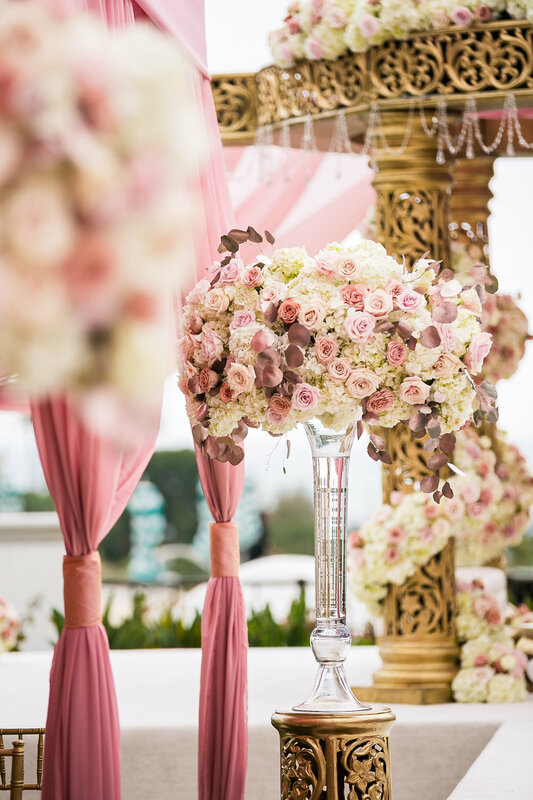 Golden accent adorned with crystal worked well with the blush and cream roses that were selected. The same roses were used in the aisle. 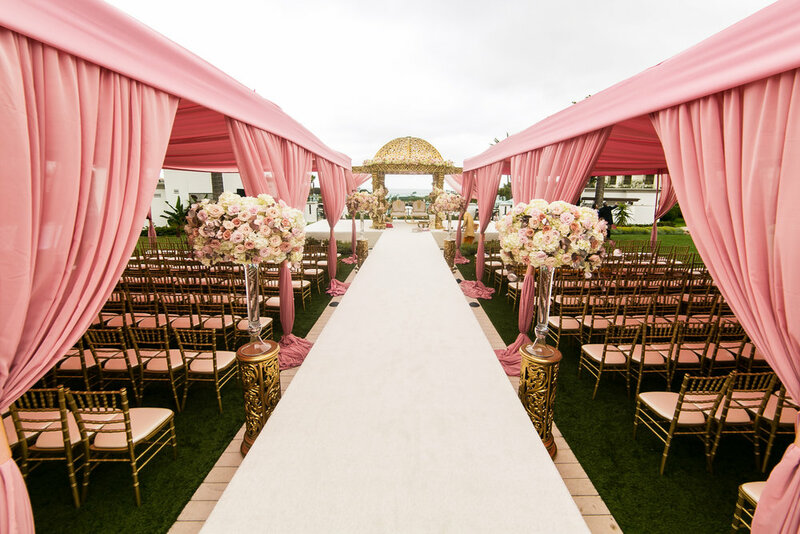 Guests were seated under the shade of soft pink linens. The couple held a beautiful reception dinner. 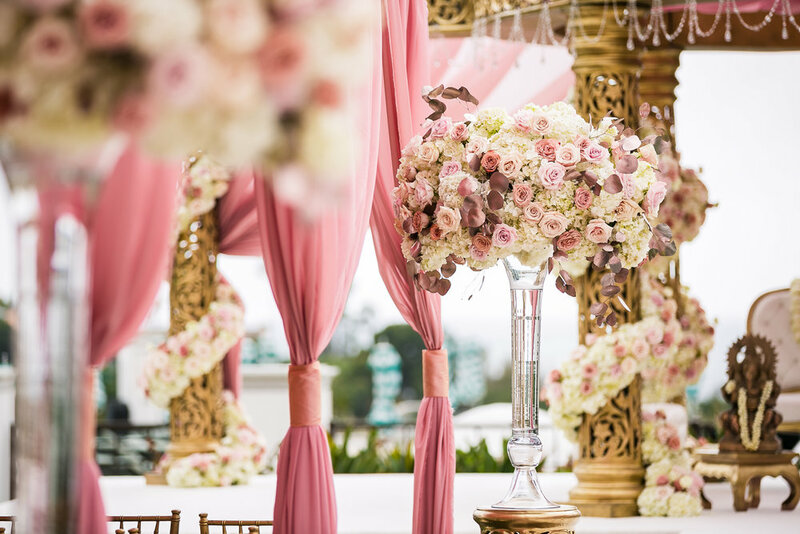 The tables were decorated with crystal and rose gold vessels. 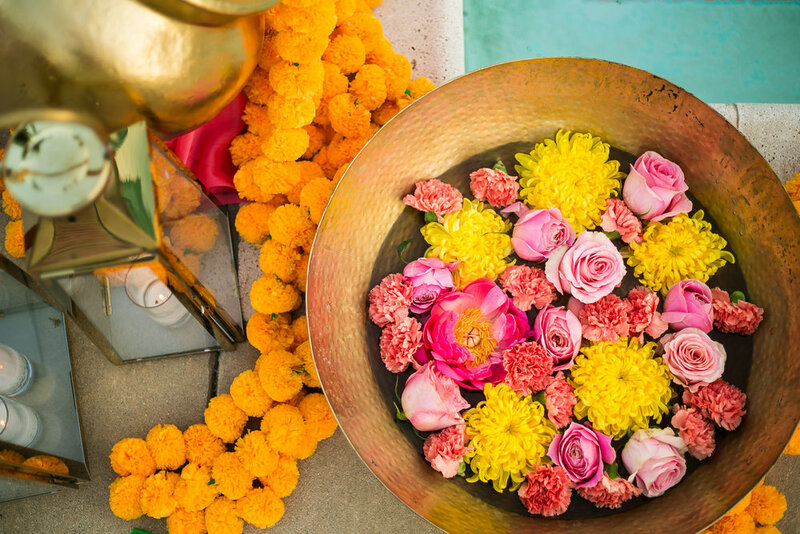 Some held bouquets of flowers while others held candles to complete the aesthetic. 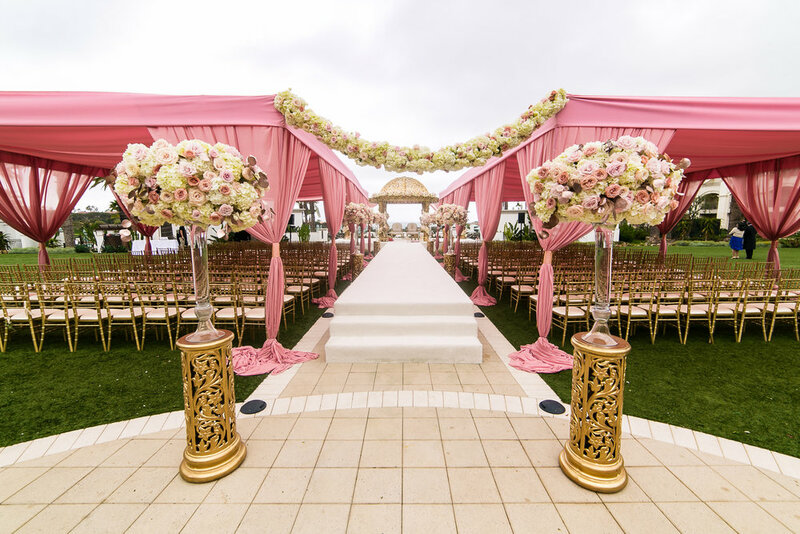 The stage was created with a mix of white, blush, and rose gold elements. The traditional couch stood in white, next to tables decorated with vases of flowers. The wall was covered in a delicate design of roses. 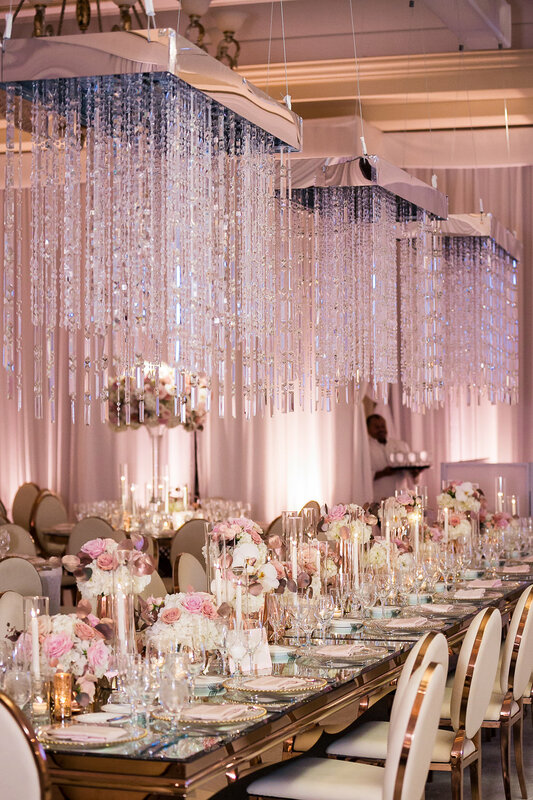 The starry eyed couple danced the night away under the crystal chandeliers. This was a stunning Event! We are always to honored to be a part of a couples special day. Thank You to the amazing and creative people who worked on this event. We appreciate you!